This beautiful cover is made from strong, furnishing-weight white cotton. 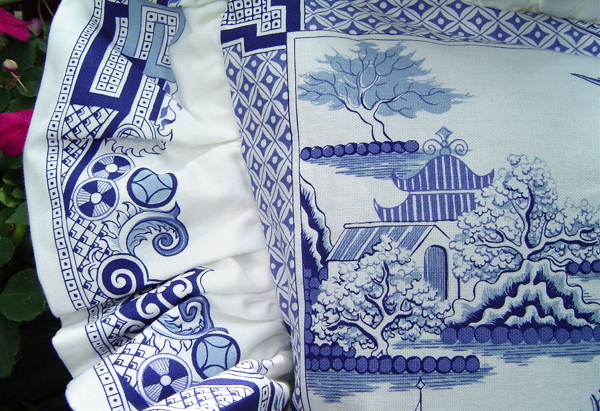 It has the same traditional blue and white design screen-printed on both sides. The frill also has a double thickness of material, with the same design on both sides. 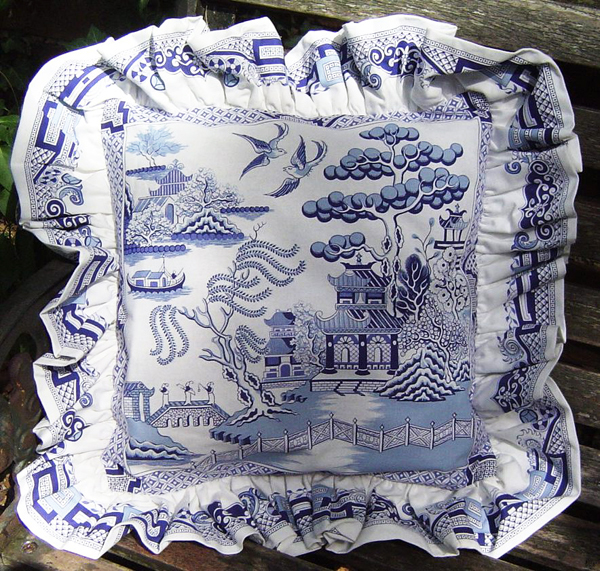 The cushion cover was screen printed in England. The cover is 15 inches (38cm) square, with an additional 3 inch (8cm) frill. There is a zip on the reverse for easy access of a cushion pad. For ease of posting I am selling the cover without a cushion pad.